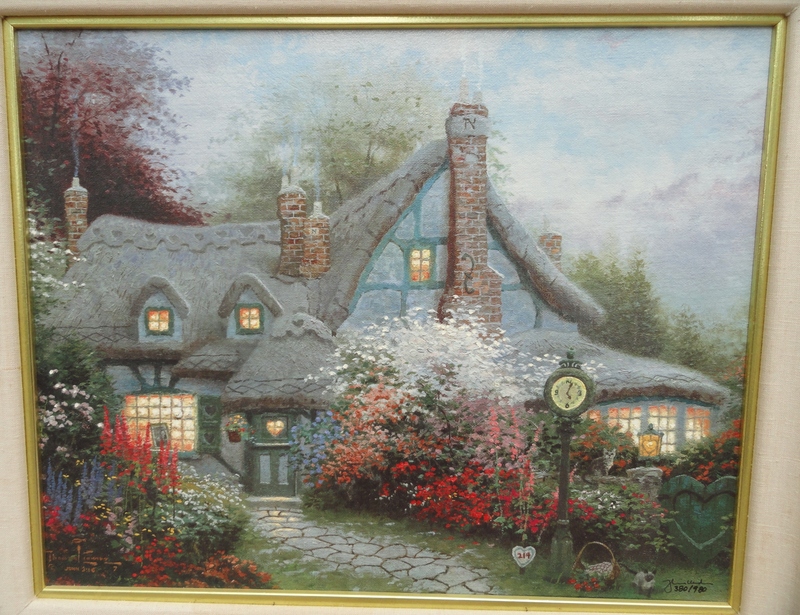 Sweetheart Cottage by Thomas Kinkade. Rare, sold-out, out of print, limited edition canvas print . This is a small edition for a Kinkade print of 980 impressions. The canvas print is in excellent condition, but the frame has an abrasion on one side that should be able to be fixed without too much trouble. An original certificate of authenticity will accompany the print. I never really followed Thomas Kinkade’s work while he was alive, but his popularity is undeniable among those devoted collectors that did. So it’s been fun for me to see some of his works up close. Charming, colorful, dreamlike, somewhat fantastical, in a similar way that a Disney movie like Sleeping Beauty, or Snow White might be considered to be. Beautiful, and memorable. 16 x 20″ canvas print size. 23 1/2″ x 27 1/2″ framed. From a private estate. 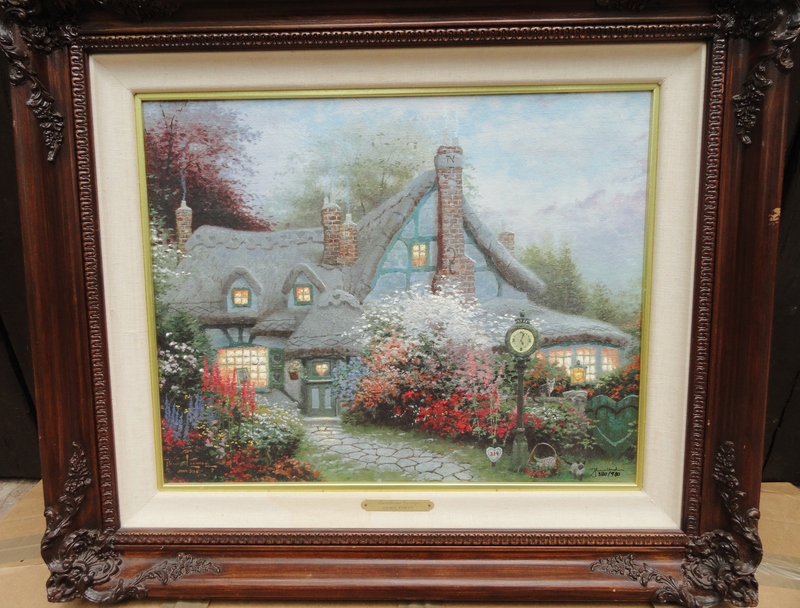 Another Thomas Kinkade canvas print, also from a deluxe edition of 980 impressions, Cottage by the Sea, is also available for purchase from a different estate. $1500.00 + free shipping in the USA for Sweetheart Cottage.